From Carcassonne follow the N113 towards Trebes. 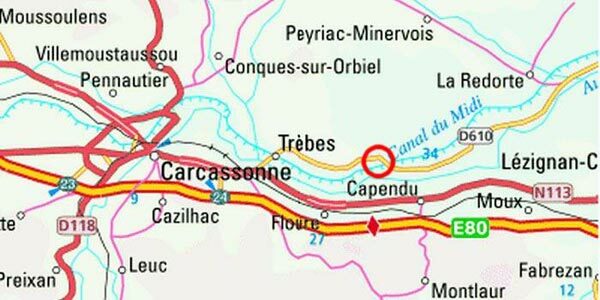 Take a left turn onto the D610 which then passes through Trebes. 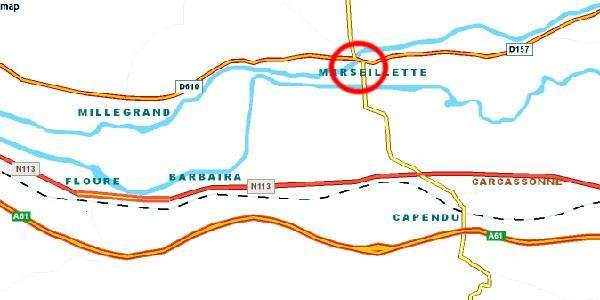 After about 7km you will arrive in Marseillette. Local airports with flights to the UK are situated at Carcassonne, Bezier, Montpelier, Perpignan & Toulouse.